lighter than ever rear hub. uses. Last but not least, the play setting is done by hand with the micro-tuner, a knurled plastic bolt. So light, easy and efficient! 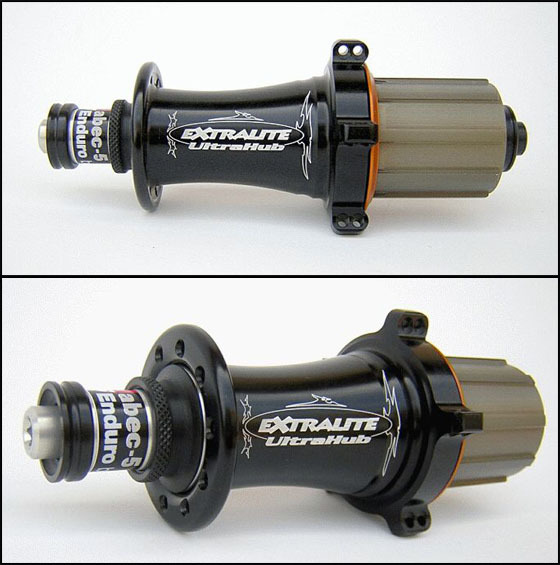 The Extralite rear hubs are, from our point of view, extremely well designed. whose internal race is similar. On a high end DTSwiss, this junction features two extremely resistant « ratchets », and two springs pushing them against each other. wheel manufacturers, Campagnolo equips its freewheels with 3 pawls, Mavic only two, but those are quite wide. and reactivity. 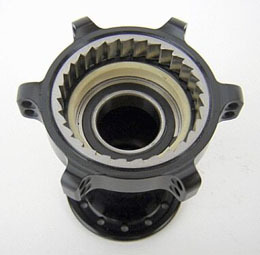 We will keep in mind removing the axle is not required anymore to lace the radial spokes of the non drive side. The geometry is optimized for Shimano: the right side end nut is shorter than the Campagnolo one, and allows wider bracing angles, thus a stiffness gain. 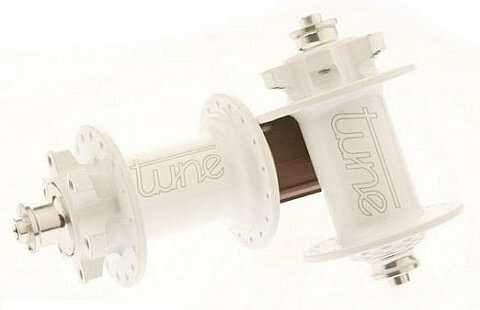 A new color will be added to the already very wide color range at Tune: red/blue/black/silver/pink/orange/green! upgrades to save a few grams. We invit you to have a look at the german website for more information.